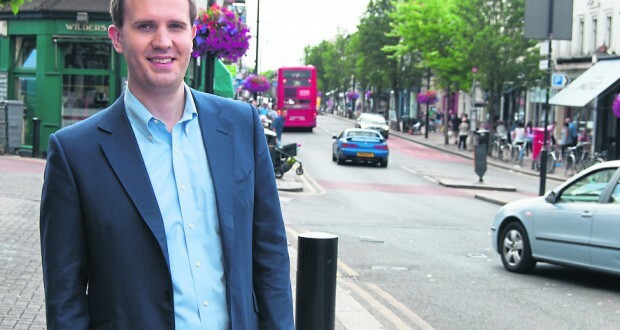 The new MP for Kingston and Surbiton has defended the government’s decision to cut maintenance grants and turn them into loans after saying keeping the system in its current form “was not right”, in an exclusive interview with the River after it controversially cut earlier this year. James Berry, who unseated previous Lib Dem Energy Minister Ed Davey, at the General Election in May with a majority of 23,249 votes, also spoke about Jeremy Corbyn’s election as Labour leader and the recent shocking news that Kingston University was named as one of four UK universities that provides a platform for extremists. He said the controversial decision to convert students grants into loans, which will be introduced in the 2016-17 academic year and is set to affect over 500,000 students, would not put off young people from going into higher education. “I don’t think it’s right to make taxpayers fund grants for young people who are very likely to go on to earn considerably more than them,” he said. “We had to make tough decisions and there are going to be people from all walks of life who are going to be disappointed with some of the cuts we’ve had to introduce. I don’t accept that removing grants will stop people from going to university. The student grant currently worth up to £3,387 and which does not need to be paid back, will be replaced with a loan worth up to £8,200 from the next academic year. This loan, unlike the grant, will need to be paid back as soon as a student starts earning over £21,000. Berry said Jeremy Corbyn’s surprise election as Labour leader last month and the far left direction Labour was taking would only result in voters leaving the party because he lacked genuine leadership qualities. He also labelled him a “threat to national security” for his connections to groups like Hamas and individuals who hold “disgusting anti-Semitic views”. He said: “It’s going to help every other political party because I don’t think he provides any clear leadership and I don’t think they have a credible economic policy. I think people are looking for Labour to recognise publicly that they didn’t handle the country’s finances when they were last in power. Discussing the people that Jeremy Corbyn has controversially associated with in the past, including militant groups Hamas and Hezbollah along with his alleged ties to anti-Jewish groups, Berry added that this cannot be ignored by the public. On David Cameron’s claim that Kingston University is one of the higher education institutions that provides a platform for extremists to breed radicalisation among students, he said that curbing extremism was “challenging”, but stopped short of admitting the Prevent Scheme designed to impede it was a failure. “As soon as you come up with one strategy, the nature of terrorism changes. In terms of Kingston University, it’s clear that some people have been radicalised on UK campuses within the UK. This wasn’t something the Prime Minister plucked from thin air, this information was provided by the police and civil service. The MP also pledged to look at issues currently plaguing KU students such as the housing crisis and revealed that he is in favour of lowering the voting age to 16. Berry holds weekly advice surgeries within Kingston and Surbiton and encourages all KU students to meet with him to address any type of issue they may have. Agreed. Grants are unfair. Also Just because your parents don’t work doesn’t entitle you to free money when studying.